The superior roof & rear boxes for your motorhome and motorcaravan with completely reinforced aluminium structure and watertight foam seal. Making more room inside your van using the space outside. 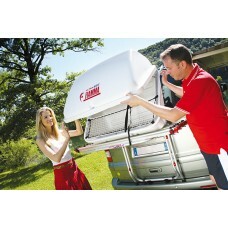 Rhino Installs can supply and fit storage boxes from manufacture such as Fiamma. Rear box, Top Box in different shapes and sizes. Motorhome, Campervan and RV's Fiamma box installations carried out by ourselves at our NCC Approved premises in Lancashire. Please contact us and we will be happy to help. 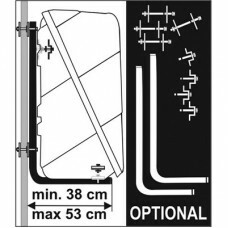 We have fit to all types of motorhomes and Rv's, Click here for pictures of our roof & rear box installs. Fitted to manufactures such as Swift, Hymer, Bailey, Lunar, Burstner, Pilote, Rapido, Autotrail, Elddis, Besscarr, Globecar and many more.